I was super excited when I found out that I qualified to receive another VoxBox. 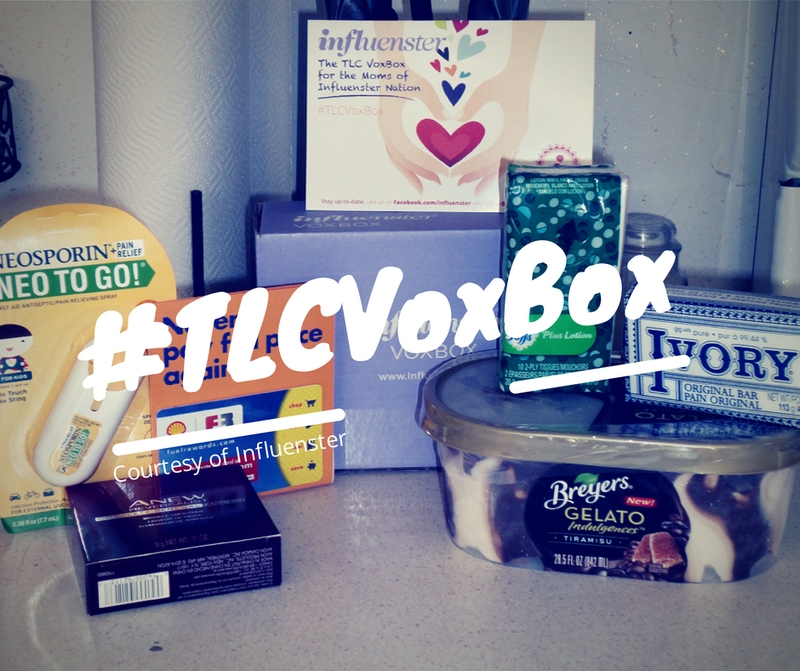 The TLC VoxBox is specifically for moms of the Influenster Nation and I'm proud to be one of the few to get it. This one comes with so many awesome products we all have used at one time or another. I love everything I received in this box. Below are more images and more about these amazing products. The Neo-To-Go is a great product to carry with you for those 'boo-boo' moments. 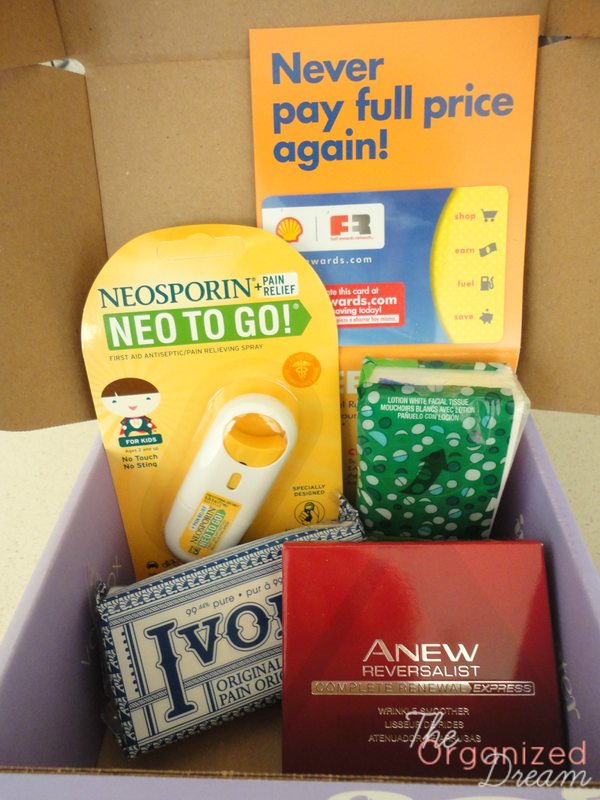 If you love Neosporin, you'll love this travel spray version, too! Just spray and go for infection protection. :) This lovely little no touch, no sting spray retails between $5 and $7. I like the Ivory Soap bar because it's 99% pure and contains no dyes or heavy perfumes. I use this product already.It leaves you clean without a filmy residue feeling. I highly recommend using this product and to get another bar is great! You can purchase Ivory soap for the exceptionally low price of $3.99 for a 10 pack. I received a travel-sized pack of Puffs To Go with a touch of lotion and love the portability and durability. Puffs tissues work the best at caring for tiny runny noses and your, too! This immediately went right into my purse. Typically only $0.49, it's a deal hard to beat. The Avon's Anew Reversalist Express Wrinkle Smoother is something new to me. It instantly blurs lines and wrinkles on the forehead and around eyes. Kind of like Photoshop in the flesh! Lol. You're never to young to care for your face including those wrinkles everyone is bound to get. I've tried so many different Avon products and their quality is amazing. That's why I think it's definitely worth the $30 price tag. 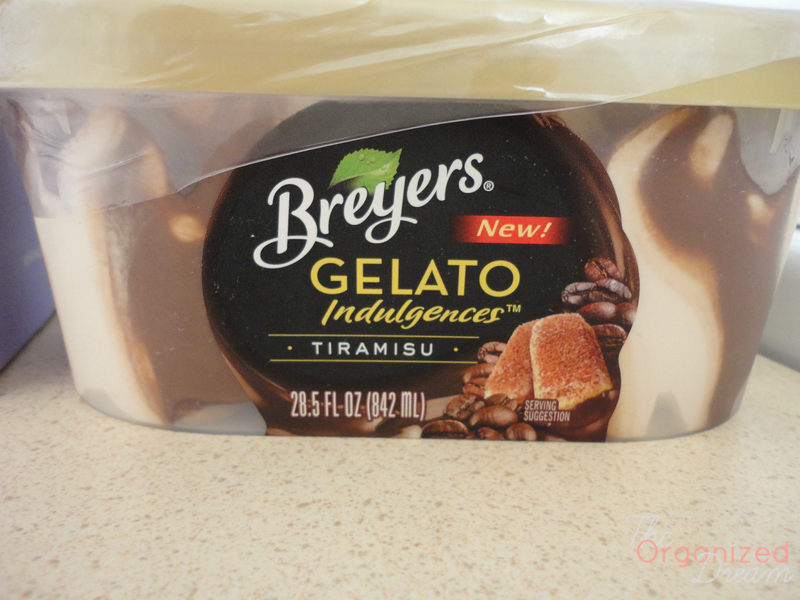 Last in the box came a coupon to purchase Breyers Gelato Indulgences and before I even took a picture of the coupon to share, I was off to the nearest grocery store to get it! (That's why it's in a picture all it's own.) They have many flavors, but I opted for the Tiramisu. I fell in love instantly with it's rich, creamy taste and I will never look at typical ice cream again! This is truly and indulgence you must try! It's on the expensive side....$5.99 at my grocer...but it's oh so worth it! If you are interested in learning more about Influenster and how you can participate in their VoxBox program, visit Influenster.com. Wow, you're on the ball! I haven't picked up the gelato or tried anything yet, other than registering the Shell Fuel Rewards card. I just try to get it done quick. There's so much to do with this one that I didn't want to forget anything. lol. Thanks for stopping by! Awesome post!! I just got my box in the mail today...my 1st!